Call the Concierge Pediatrics of Houston office at (832) 940-2262 to register. Regardless of whether you are planning a scheduled cesarean, or aiming for an unmedicated birth- we feel that the more knowledge you have, the better the outcome. 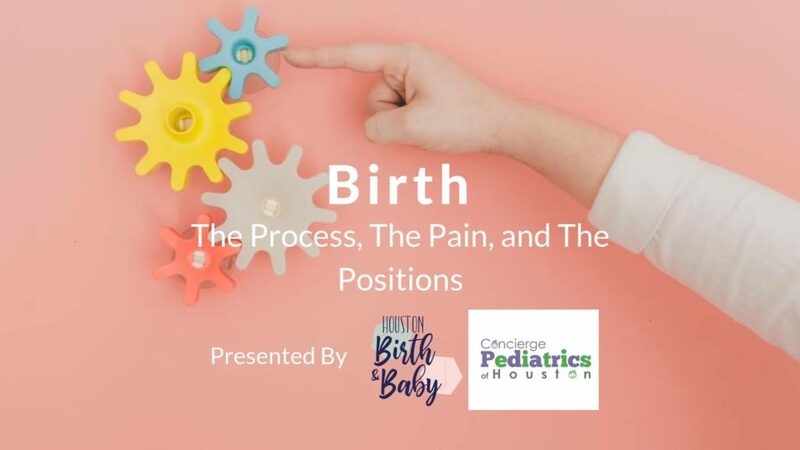 Come and learn how the body prepares for birth, the signs and stages of labor, medical and non-medical pain relief options, common medical interventions, writing a birth plan, and common newborn procedures after birth. You will gain all of the information you need to feel prepared for birth in a fun and interactive class taught by an experienced Childbirth Educator and Doula. This makes a great refresher for those who have already had a baby, or a quick primer for those crunched for time before their delivery. Topics Include: Birth partner communication, birth plan writing, fetal positioning, the labor process, non-medical pain relief, comfort measures, medical pain relief, and positions for labor and birth.